Birth Classes are an important step to take during pregnancy. Find one that is taught by someone who knows childbirth, by your third trimester. Birth classes are important to take together, you will raise this baby as a couple and there are many advantages to thinking through things before you have the baby. You might ask yourself, “Are birthing classes necessary?” — and I, 100%, think they are. 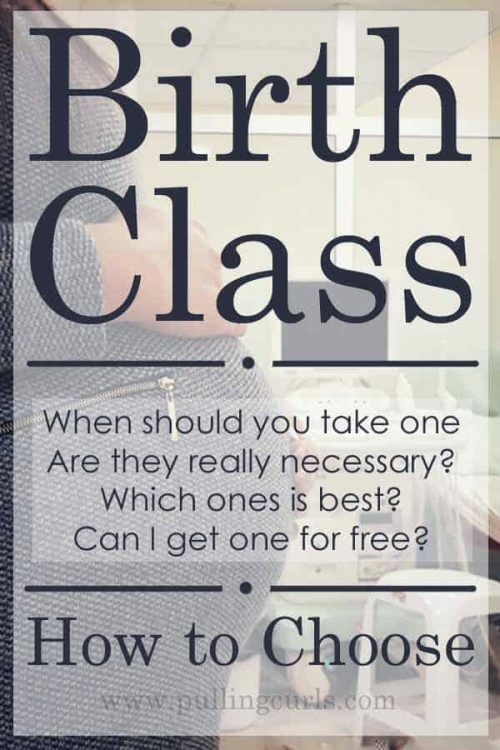 There are free and paid options, but taking a birth class will give you tips to ease your fears. You can take them online or at your local birth center. 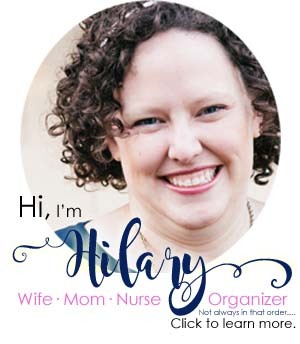 Get your questions answered about being a mom and labor. This post will also link to a great free childbirth class. Birth classes are often best taken as you enter your third trimester and should be taught by someone who has seen hundreds (and hopefully closer to thousands) of births. We’re going to go over ALL of that in this post! Now, as a labor nurse of 16 years, who has also taught childbirth classes for her hospital, I have looked at a lot of birth class options. And mostly, especially with the ones online, they are trying to give you the birth THEY want for you. Well, what if you need an epidural or a c-section — will they prepare you for that? What if you have serious complications, are they aware of all the things that can go wrong? These are great, and as I said — I taught online prenatal classes. It was really rewarding, but Tuesdays at 6 pm just didn’t keep fitting into my schedule. So, I had to stop. Time and time again, I get patients who say they wished they could have taken a class — but the hospital options just didn’t fit their schedule. Plus, often they’re far away, or even if you can make it — your spouse can’t! That’s no fun — and surely not as helpful as them being there with you! Trustworthy — Is this person someone who has seen hundreds (possibly even thousands) of births? How much do they really know? Well-rounded — will they talk about ALL your options? Easy to use — is their online format going to work for you? Can you go as quick/slow as you want? Engaging — have you seen those new YouTube videos where someone in a distant country typed in the language, had a robot read the typed words, slap some photos with it and call it informative. Engaging? ….not so much. These are great, and a great way to dip your toe into the waters of labor land. However, they are never comprehensive. You just aren’t going to learn ALL you need to know. It takes time and money to prepare a class that will prepare you. That is always reflected in the price you pay. Truly a reminder of the principle of “you get what you pay for” (guess who’s dad was an economist). BUT, they can give you some insight into the class, and give you an idea of if that class is for you. I recommend finding one in about 20 weeks and starting it by the beginning of your third trimester. The beauty of most online birthing classes is that they give you a good amount of time to complete the class. You can buy it at 20 weeks, but keep it in your back pocket for a couple of months until you’re fully ready. I really believe they are. I think that patients who don’t take them are confused a lot of the time, and scared. They find themselves more stressed out at delivery (which does transfer to the baby). Informational birthing Classes — this one just gives you the information you’ll need in your birth. You’ll become familiar with terminology and procedures. Options are available both online and offline. I believe most hospital classes fall into this category. They do cover some pain management, but it is not their main focus. Natural birthing classes — These mostly prepare you for the pain aspect of birth. They will guide you in the ways they recommend to get through the pain. Options include Bradley, Lamaze, most likely any local doula classes and Hypnobirthing. I’m funny, I’m engaging and I’ll guide you through the content without you falling asleep. I knew that a lot of time was wasted in hospital classes because specific couples had specific questions (and that wastes time) this cuts out all of that. Because my classes were live I sometimes missed things. In this online version that doesn’t happen as I’ve edited them (and had my editor edit them) and really thought through it all (in fact, this one for sale now is the 2nd edition that is truly A-mazing)! Trustworthy I’ve worked at 3 different hospitals, seen probably over 1,000 births in the years since I started being a labor nurse in 2001, and I still work as a labor nurse every week. Well-rounded — Because I have seen so many different births, and different situations I come at this class with a very broad perspective. Not crazy expensive! My class has several price points. The lowest cost option is less than dinner out. I really wanted to make it affordable for everyone! Easy to use — I am using a state of the art learning platform that I have complete control over. It’s hosted right at my site and you can ask me questions directly within the course. Also, with some versions, you get a facebook group where I am also present. 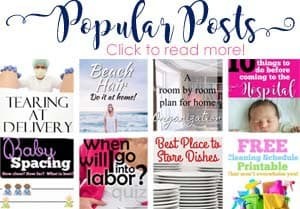 Engaging — After writing this blog since 2005 I clearly have a writing style that attracts over a million readers each year, and tens of thousands of subscribers. Engaging — very much so. Plus I include over an hour of video that gives small bites of the information quickly (extra great for partners). No matter what option you choose, I hope you feel empowered at your delivery. I know your baby is very lucky if you made it this far into this article — as their birth is very important to you. I hope you’ll check out my class and I will see you inside.